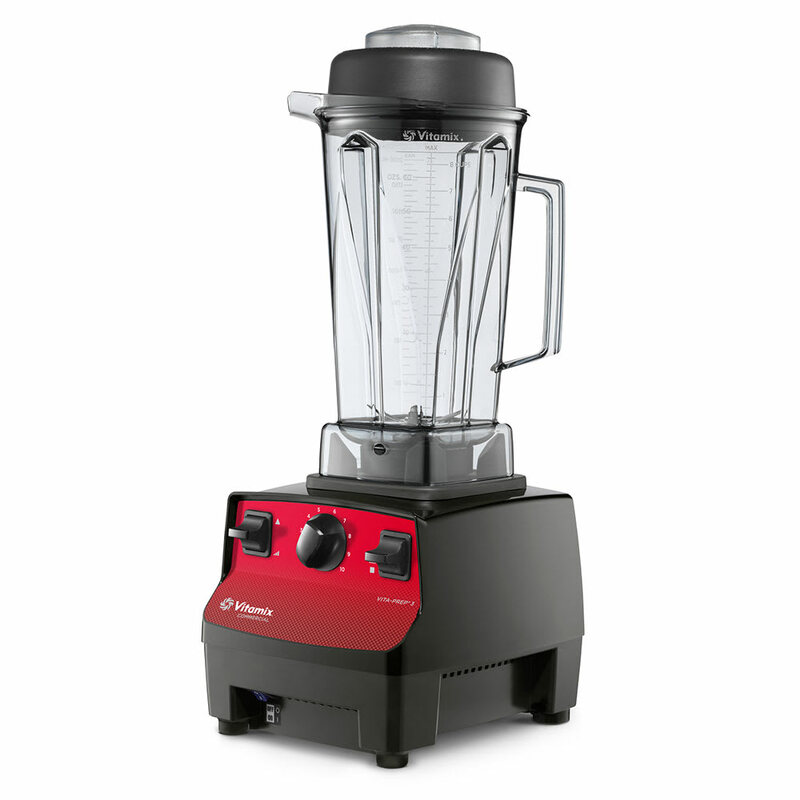 The Vitamix 62826 Vita-Prep 3 blender is equipped with a powerful 3 peak horsepower motor that's capable of pureeing dense vegetables, crushing cube ice, and blending a number of drink ingredients to a smooth consistency for all your drinks, soups, and sauces. Users are able to achieve the perfect texture for each recipe they prepare thanks to 10 pre-programmed speed settings and a constant "high" setting. 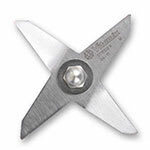 The included accelerator tool can be used to push products back down towards the blender's blade help them blend faster. 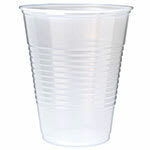 A 64-ounce Advance container is included with the purchase of the Vita-Prep 3. 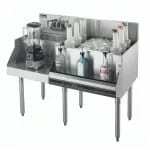 It is designed to pour quickly and smoothly to improve service speeds. 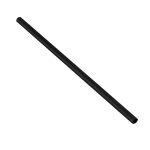 Its clear, BPA-tree tritan construction makes it durable and highly resistant to breaking. 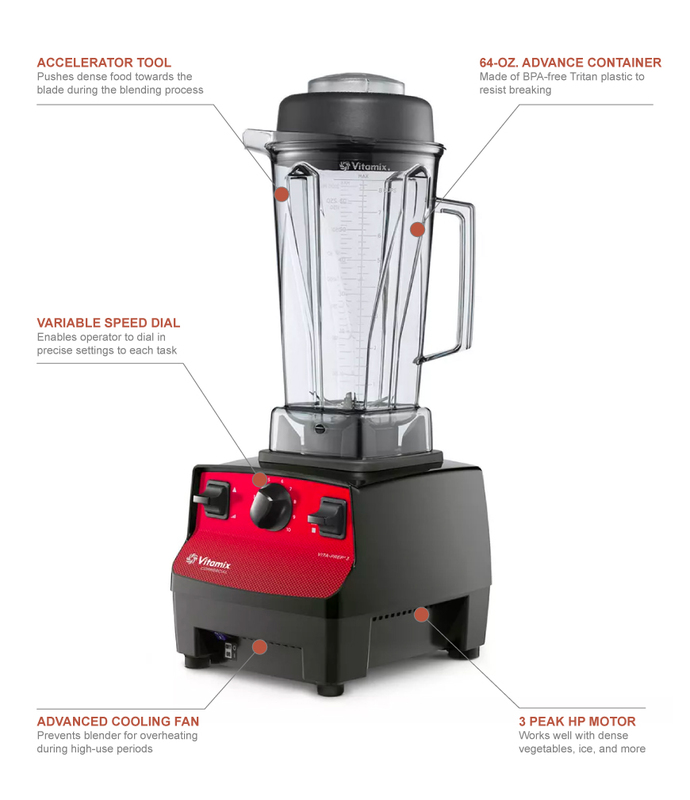 The Vitamix 62826 blender's motor is protected from overheating by a cooling fan that allows it to reliably blend batch after batch during peak service periods. "We own a small smoothie business and have a couple other vitamix blenders which work great. The blender container is to narrow at the bottom and..."
"I use mine primarily for 'raw oriented' food preparation. 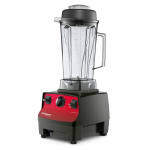 My body has since asked me, what are you consuming from outise commercial foods stuffs..."
"this isn't the exact model we have but it will serve anybody very well with the powerful 3hp motor it will work its way though anything we use ou..."
"We own a small smoothie business and have a couple other vitamix blenders which work great. The blender container is to narrow at the bottom and does not blender fast enough. Have to use the tamper the whole time to get it to blend. We tried to return it to KaTom, but they do not accept open box returns. Now I have a paper weight that Vitamix and KaTom will not take back. They have not been helpful at all, and will never buy anything from KaTom again." "I use mine primarily for 'raw oriented' food preparation. 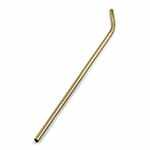 My body has since asked me, what are you consuming from outise commercial foods stuffs!" "this isn't the exact model we have but it will serve anybody very well with the powerful 3hp motor it will work its way though anything we use ours everyday for drinks smoothies and grinding grain and nuts, and have owned it for the last three years and still no complaints."